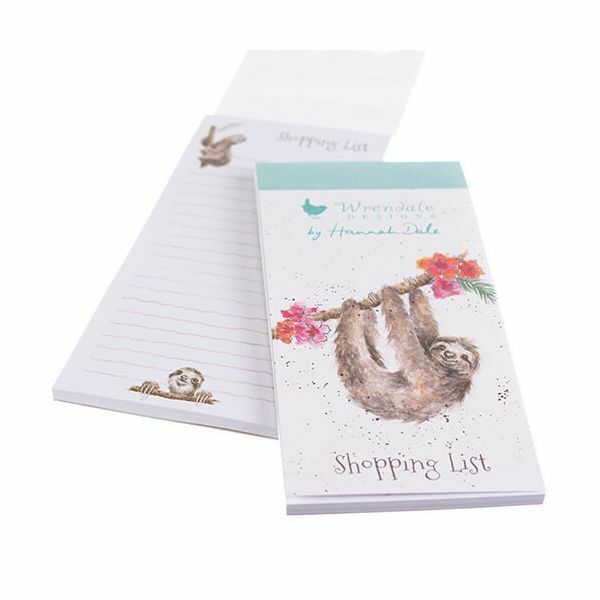 A quirky illustration of a sloth appears on the front of this Wrendale 'Hanging Around' Shopping Pad. Further illustrations from the award-winning artist Hannah Dale appear inside the Shopping Pad which has a textured FSC board cover and fully-lined pages. A handy magnet on the back of the pad ensures it can always be kept close to hand. From the Wrendale range of Shopping Pads.